I am very stick when it comes to cleanliness and air purification inside the house. I have to make sure that I get the best product to clean a certain place. Especially when it is inside my fridge, where mixed smell occurs due to the different kinds of foods we store in. I usually used the baking soda to prevent the odor, but it does not last for a year. I need something that will last longer than just baking soda, something different. 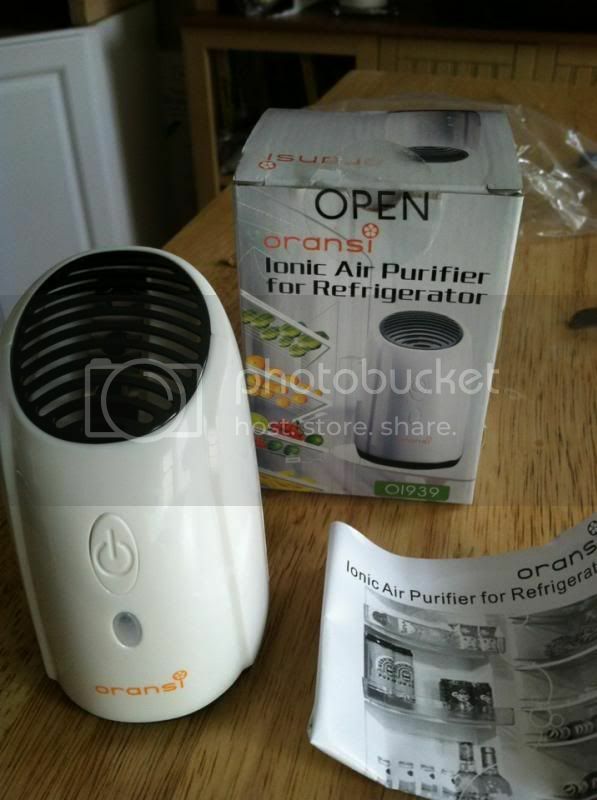 That’s why I’m ecstatic when Oransi has given me the opportunity to review Ironic Fridge Air Purifier. It does sounds very interesting, I am clueless on what it can benefit me; however I am very excited for the review. Since I received the product in the mail, I inserted the 2 AA batteries I have ready at home. Yes, it doesn’t come with a battery so you have to get ready in order to use the product right away. I immediately read the manuals and how to use it for the first time. Oh! the shipping is fast. I like it; I never waited for so weeks for the product to arrive. I have noticed that the light in the middle were steady at first, and I have waited for at least 30 minutes before it starts to blink once in awhile. Which is normal says for the first time you use the purifier. It is very important to read the manual first before we install an item to learn what it does. Look how it goes with the inside color? Since then, I have observed that it blinks once in awhile. 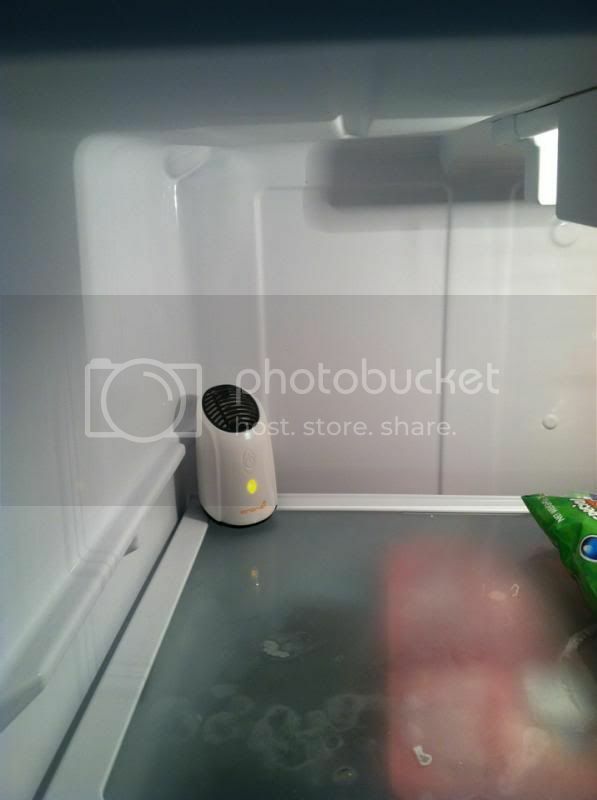 I am satisfied for I don’t smell any stench inside my fridge, which is very effective. Very nice to know that there’s no replacement in filters or needs it to be clean. It is quiet as well. Intuitive. It makes our food looks fresher. The color blends with the inside fridge, which I find it cool. 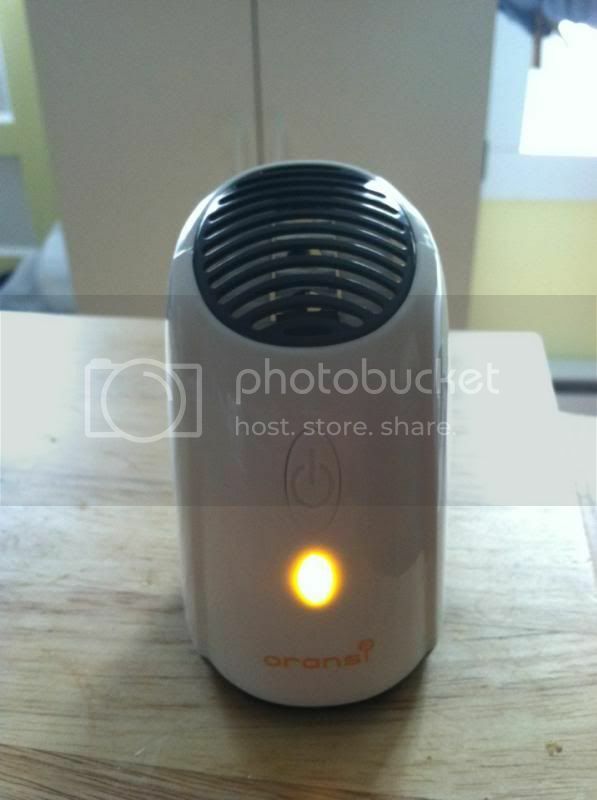 If you wish to get the awesome fridge air purifier, you can check out the website. You can also visit the Oransi’s Facebook page for cool exchange conversation between those who have experience regarding the product and what makes it different. If you wish to tweet instead follow Oransi on Twitter account too. If ever you love to pin, check the Pinterest to see what’s new. 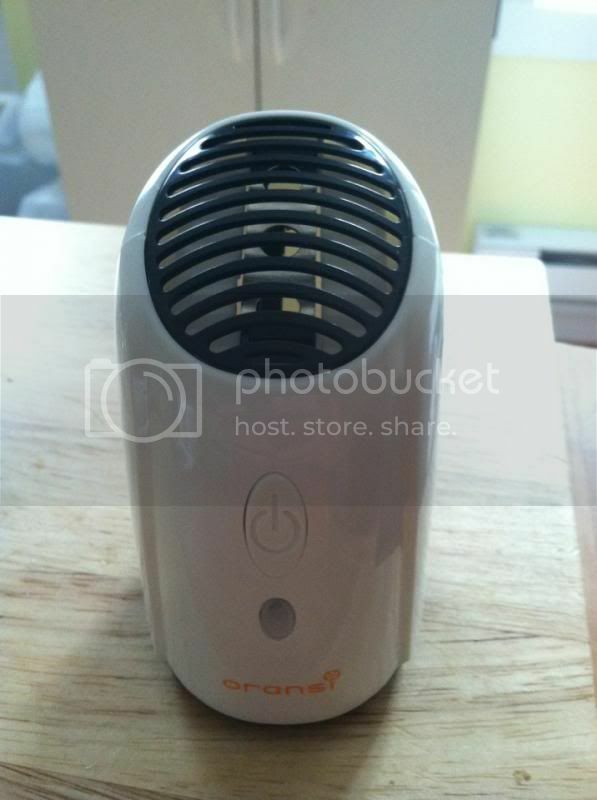 One of my lucky readers/followers will have a chance to win an Ironic Fridge Air Purifier [a value of $29.00]. You must be a US resident. Hurry!! The Giveaway will end on June 05, 2013, 12AM EST. That "silent, intuitive and effective" is a "nod" to me to get one for our ref. It's so cute and I don't need to worry about odor or so. Great product! I like this so much better than what I am using now. If this gets knocked over I will not have to clean up a big mess. I'd love to have one of this. I got approved but I declined since they want me to host a giveaway which I don't want to do right now hehehe. So I am trying my luck on your giveaway. PS. YOur Pinterest link leads to error. WOW I would love to have this for my frig so stylish and I am sure works better then the baking soda I am using . I like that it is so reasonably priced. Like to have one for our fridge too! I think I would love it! We eat so many veggies and anything that would keep them fresher is a big help! I totally want one. I always have an issue with fridge freshness! I love the silent part of it! I sleep right near the kitchen so I don't want to be kept up at night. My wife will really enjoy this!